Virginia Woolf’s Mrs Dalloway was ninety years old this May, and in its lifetime it has been approached from a wide range of critical angles. 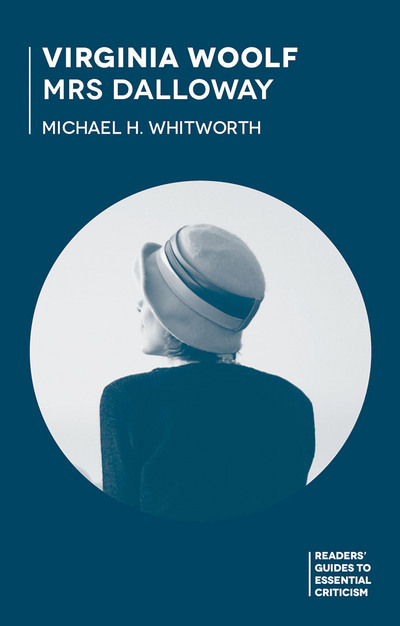 My Virginia Woolf: Mrs Dalloway in Palgrave’s Readers’ Guide to Essential Criticism series aims to provide a road map to the criticism and summaries of the most important works from various eras and schools. It also aims to place the critics’ works in the context of the literary criticism of their time. I also try to draw some larger conclusions, and I speculate a little about what might happen next. This blog is more about what I learned about the history of criticism and about Mrs Dalloway in the process of researching and writing the guide. Some of the earlier guides in the series (when it began as the Icon Critical Guides) tidied up their works’ critical histories on a decade-by-decade basis, but even my earliest examination of the key critical texts suggested this wasn’t feasible. A critic who learned his or her trade in the 1950s when the New Criticism was at its peak might write an insightful book twenty years later, and might have grown bold enough to break with some orthodoxies, but in many cases their work will still embody many of the assumptions that they began with. I’m thinking here primarily of Avrom Fleishman’s 1977 book on Woolf, but also, more subtly, of Emily Jensen’s “Clarissa Dalloway’s Respectable Suicide”. I place Jensen’s article on the chapter on sexuality, and it was first published in one of Jane Marcus’s pioneering collections of essays; but some of the critical language that Jensen uses harks back to the New Criticism. At any given moment criticism might contain dominant, residual, and emergent elements (to borrow Raymond Williams’s terminology). The chapters of the guide follow a broadly chronological pattern, but there are long overlaps. Mrs Dalloway is full of minor characters, some of them little more than names, but how many central characters are there? The easiest answer is that there’s one, Clarissa Dalloway. But to view the novel that way relegates Septimus’s story to being what one critic called a ‘grotesque … episode’. If we see Septimus as a major character, then the novel has a different centre of gravity, and might even be said to have a different form. What if we also see Peter Walsh as a significant character? And what if we see Elizabeth Dalloway and her relationship with her mother as important, as marking the presence of a future form of social organization? As critics promote or demote different characters, the emphasis falls differently; the novel takes a different shape and means something subtly different. When Palgrave initially approached me about writing this book, the model for the series was closer to that of a critical anthology: long extracts (1000-2000 words) with generous framing commentaries and critical contextualisation. By the time I’d submitted a proposal, the model had changed, presumably because Palgrave were being asked to pay copyright fees. The change in model was good; it allows for a survey that is more generous in its range and that gives a better indication of the variety of criticism, both the big differences and the subtle. It also changes the emphasis of the author’s task from being an anthologist to being a summariser, though of course in both models the author has to contextualise the pieces and indicate their strengths and limitations. The problem with being a summariser is that works of criticism in styles that are more performative or associative don’t survive well. They can be immensely stimulating, they can present fascinating neglected primary texts or cultural contexts, they can be full of brilliant generalisations, but if at the end the reader is left asking ‘What was the argument?’ or ‘Why was that worth saying?’, it’s much harder to find a place for them in a guide like this one. In writing my Virginia Woolf (2005) for the OUP Authors in Context series, I greatly enjoyed thinking about how adaptations (both filmic and textual) recontextualise the original work and might be taken as a form of criticism. It seemed logical therefore, in writing this book, to include a chapter on criticism of Michael Cunningham’s The Hours. But fairly early on I set myself the criterion that I wasn’t going to write about all criticism on The Hours: it had to be criticism that also looked at Mrs Dalloway, and in which The Hours cast Woolf’s novel in a new light and allowed us to see something about it more clearly. And when you do that, the number of eligible pieces of criticism reduces drastically. It must be said that some of what remains is among the best formalist criticism that I’ve read on Woolf’s novel: reading the two works side by side allows critics to bring out the brilliance of Woolf’s narrative form. I’m not sure I’d have read Kate Haffey’s ‘Exquisite Moments and the Temporality of the Kiss’ if I hadn’t been writing this book, and I’m glad I did. One of the biggest struggles Mrs Dalloway had in the early years of its critical reception was the struggle to escape the shadow of Joyce’s Ulysses, a work crucial to the Kenner & Co. construction of modernism. But there were other, subtler influences. For a long time, To the Lighthouse was deemed to be Woolf’s supreme achievement, and it was the only one of her novels that Leavisite critics would give any time to. If you read Mrs Dalloway under the influence of To the Lighthouse, then it can easily look like a knowledge about marriage — though a less perfect novel than its successor — and the main characters become Clarissa and Richard, with Septimus and Rezia as their parallels. I don’t give much space to this version of Mrs Dalloway in my book, but it was definitely present in the work of some critics. Another way of partnering Mrs Dalloway is to find an essay by Woolf to read it with. For the decades where formalist concerns predominated, the obvious partners were ‘Mr Bennett and Mrs Brown’ and the closely related ‘Character in Fiction’. What’s interesting to observe is how in recent years those essays have come to be taken as read, and with the rise of a more politically focused Woolf, ‘Thunder at Wembley’ has become interesting to several critics. I found that writing a critical survey of a single novel inevitably foregrounded a certain kind of criticism, one which culminates in, or at least dances around, a ‘reading’ of the novel. In other words, the ghost of New Criticism can’t quite be laid to rest. This problem was at its most acute when dealing with critics who wrote about Woolf’s philosophy, or Woolf’s relation to other philosophies. Such work often involves connecting together a web of references across several different works. The weaving can build a substantial structure, but doesn’t necessarily have anything substantial to say about any single work. The same can also be true for some kinds of cultural materialist work. Inevitably, if a critical article has ‘Mrs Dalloway‘ in its title, it’s more likely to be considered for inclusion than if it doesn’t; if a book has a substantial section on the novel, rather than a generous scattering of references, it’s more likely to have caught my attention. A critical history of Woolf criticism in general — an immense undertaking — would give greater prominence to certain critics who feature here not at all, or who appear only as editors of volumes in which other interesting work was published. (7) Where now for Mrs Dalloway criticism? My approach throughout is historicist: how Mrs Dalloway has been approached has been influenced by institutional histories of literary criticism, and sometimes more directly by social and political movements outside the academy. Feminism most obviously: it’s impossible to tell the story of Woolf criticism without telling the story of feminist criticism, and later the story of theories of sexuality. Pacifism is important too: Mrs Dalloway, I suspect, became more prominent in Woolf’s oeuvre than To the Lighthouse because of the Vietnam War and the response to it. But seeing criticism as historically determined makes it hard to identify future trends While we can make a guess at trends in literary criticism that will be relevant to Woolf — eco-criticism, let’s say, and comparativism in the new guise of transnational criticism — it’s harder to know exactly how they will play out in the specific case of Mrs Dalloway. I hope I’ve provided a useful road map, but we’re travelling through time, not space, and the edge of the map is inevitably hazy. This entry was posted in Books and tagged critical history, Mrs Dalloway, reception history, Virginia Woolf on 01/10/2015 by michaelwhitworth.